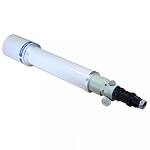 The FOA-60 is a new compact apochromatic fluorite doublet refractor from Takahashi. 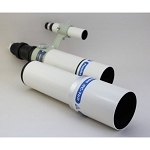 The telescope features a 60 mm aperture and a 530 mm focal length. 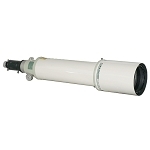 It is also available with a 1.7X extender, which increases the focal length to 901 mm. The version with the 1.7X extender is known as the FOA-60Q. The spacing of the doublet elements is such that the correction of the spherical abberations is similar to that found in the much larger TOA series. 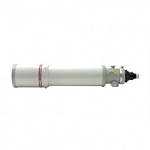 This innovative design results in a Strehl ratio in excess of 96% for the base unit and over 99% with the extender. Note: FOA-60 Shown. Mount, tripod, tube holder and finder not included.